The awards go to both large international and local banks—showing that technology creates new opportunities and a global playing field. 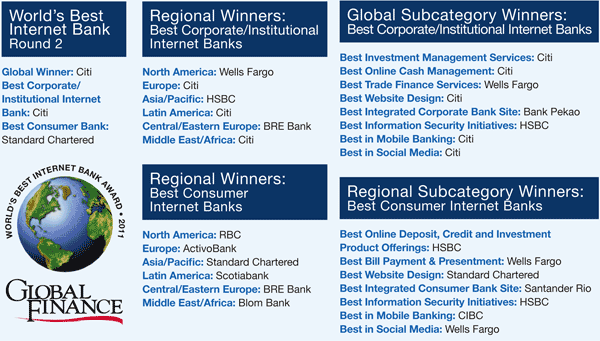 In this, the second of a two-part series, Global Finance recognizes the best corporate/institutional and consumer Internet banks globally and regionally, plus an overall winner. We also name global winners in a number of subcategories. 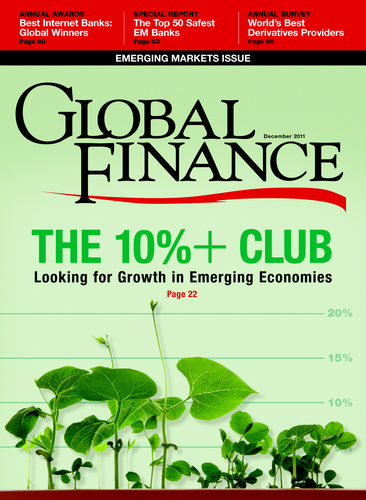 Global Finance honored these banks at its 9th annual awards dinner in New York on November 3. The world’s major banks are playing a lot of defense these days amid increased scrutiny from regulators, activists, consumers and investors. Add in the uncertainty of a sovereign debt crisis and continuing soft economic and lending conditions, and it’s easy to see why bankers might be more guarded than usual. But one place where banks can go on the offensive is the still rapidly growing and evolving digital marketplace. Strategically savvy and successful banks embrace the changing online world to seize growth opportunities, such as new mobile applications, social media and emerging markets. Once again with the help of Infosys, Global Finance has identified the top banks that are innovating and thriving online. 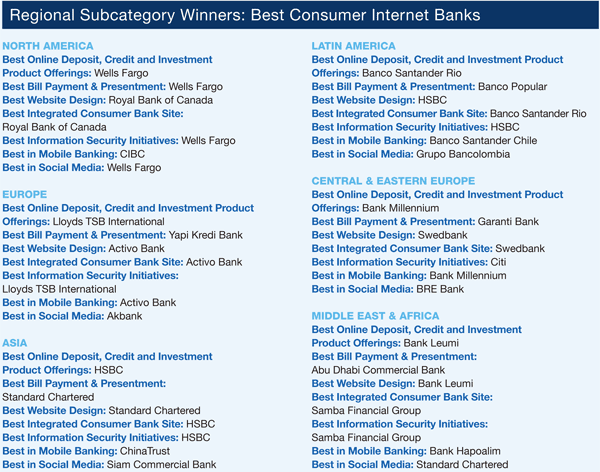 The World’s Best Internet Bank Awards are based on submissions from banks that wish to be considered. This year, 233 individual banks from around the globe entered the competition. 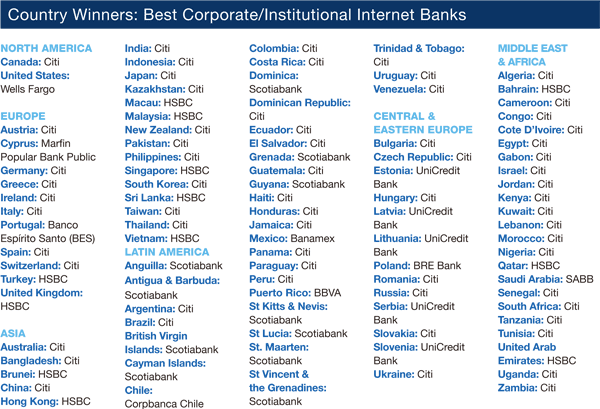 The Internet banking leaders include (in alphabetical order): BRE Bank, Citi, HSBC, Standard Chartered and Wells Fargo. These banks and other winners are using Internet, mobile banking and social media to convert existing clients into more profitable and loyal online customers. 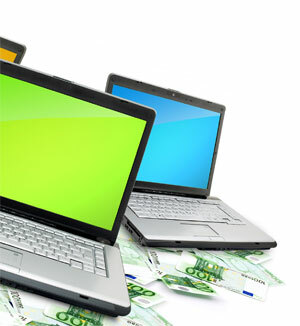 The top online banks innovate with new, technologically advanced and well-designed products and services that keep current customers happy and help attract new ones. Citi won acclaim for its online investment management services, cash management site, website design, mobile banking and social media efforts. Standard Chartered is recognized for its Breeze online banking service and mobile application, and Wells Fargo showed its strength with the CEO (commercial electronic office) portal, which offers commercial and corporate customers single sign-on access to more than 80 online banking applications and reports. 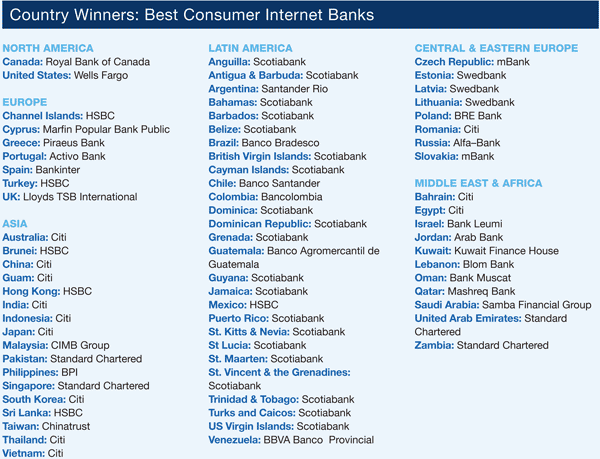 Stay tuned for information on the call for entries to the 2012 World’s Best Internet Bank awards.